Quarterback Teddy Bridgewater agreed to re-sign with the New Orleans Saints rather than join the Miami Dolphins, according to multiple reports on Thursday. The Saints also restructured Drew Brees&apos; contract to free up $10.8 million in cap space and signed former New England Patriots defensive tackle Malcom Brown. --The New York Giants agreed to a four-year, $37.5 million deal, $23 million of which is fully guaranteed, with wideout Golden Tate, according to multiple reports. Amid a growing group of young star players around the league, 39-year-old New Orleans Saints quarterback Drew Brees finished the fan ballot portion of Pro Bowl voting with more votes than anyone. The NFL announced the results on Friday from fan voting, which ended a day earlier. The 11-time Pro Bowl passer Brees got 1,270,631 votes to top all players, ahead of second-place Patrick Mahomes (1,197,370 votes), the second-year Kansas City Chiefs QB who has thrown 45 touchdown passes in 14 games in his first season as a starter. 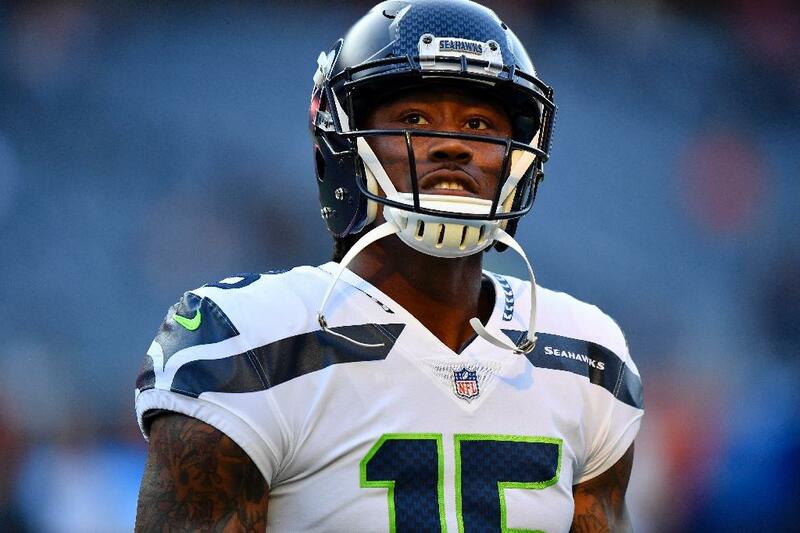 Brandon Marshall takes nothing for granted when discussing his opportunity to join the Saints&apos; seemingly inevitable march to the postseason. New Orleans went instead with Dez Bryant, but lost the former Dallas Cowboys star to a season-ending Achilles injury in his second practice. &apos;&apos;When you&apos;re on the other side of 30 and you don&apos;t produce, this is the situation you&apos;ll find yourself in,&apos;&apos; Marshall said. Brandon Marshall, a 13-year NFL receiver, signed Monday with the New Orleans Saints after their record-setting romp over Cincinnati that cost Bengals&apos; defensive coordinator Teryl Austin his job. Marshall has compiled 970 receptions for 12,351 yards and 83 touchdowns with Denver, Miami, Chicago, the New York Jets, the New York Giants and Seattle, where he has 11 catches for 136 yards and a touchdown before being released last month. The New York Giants have sent &apos;&apos;the other Eli&apos;&apos; to the New Orleans Saints. The Giants on Tuesday traded the cornerback who was the 10th pick overall in the 2016 draft to the Saints for a fourth-round pick in 2019 and a seventh-rounder in 2020. Like all trades, it will be not official until Apple passes a physical. The New York Giants have sent "the other Eli" to the New Orleans Saints. The Giants on Tuesday traded the cornerback who was the 10th pick overall in the 2016 draft to the Saints for a fourth-round pick in 2019 and a seventh-rounder in 2020. Like all trades, it will be not official until Apple passes a physical. 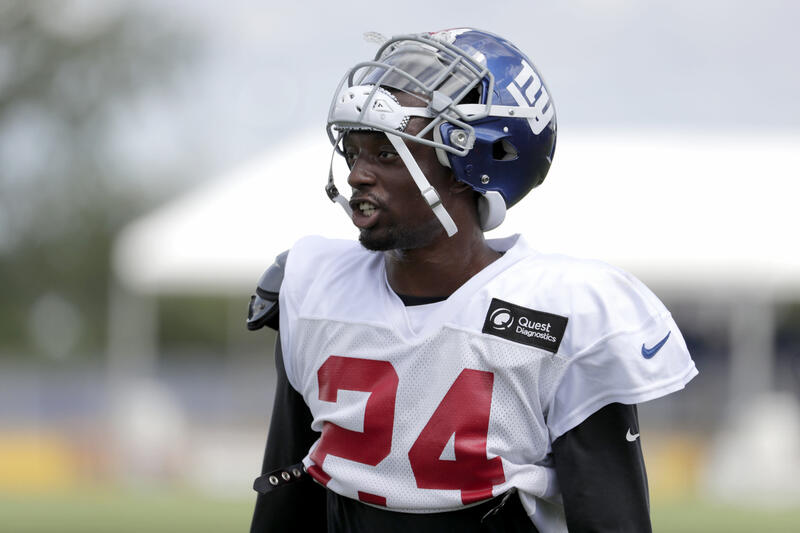 The New York Giants traded cornerback Eli Apple to the New Orleans Saints, the team announced Tuesday. In exchange for Apple, New Orleans sent the Giants a fourth-round 2019 pick and seventh-round pick in 2020. The Saints were reportedly in the market for a cornerback, according to ESPN&apos;s Adam Schefter. Shemekia Copeland performs the National Anthem at the New Orleans Saints vs. New York Giants game at MetLife Stadium on Sept. 30, 2018. The National Anthem has been drawing a lot of attention at football games recently, but no matter how you stand politically it’s comforting to know that when one football fan sees another who needs assistance, he’s not afraid to help. A picture taken by photographer Michael DeMocker of NOLA.com the Times-Picayune has gone viral, shared over 14,000 times since being posted on Facebook.